Diana has put together SUCH a beautiful space for her gorgeous little girl Olive - who, coincidentally was born the day before my daughter! How perfect is that olive branch print above the cot? There's lots of little touches of nature throughout this room, which I absolutely adore. I'm completely in love with this side table, how beautiful is that colour?! It compliments the pops of pink in here perfectly, and it's so simply styled too. I sometimes find styling a large bare wall to be quite difficult, but Diana's wall hanging is the perfect way to tackle this. It adds a rustic feel to the room, and is such a unique way to make a bit of a feature out of the wall space. 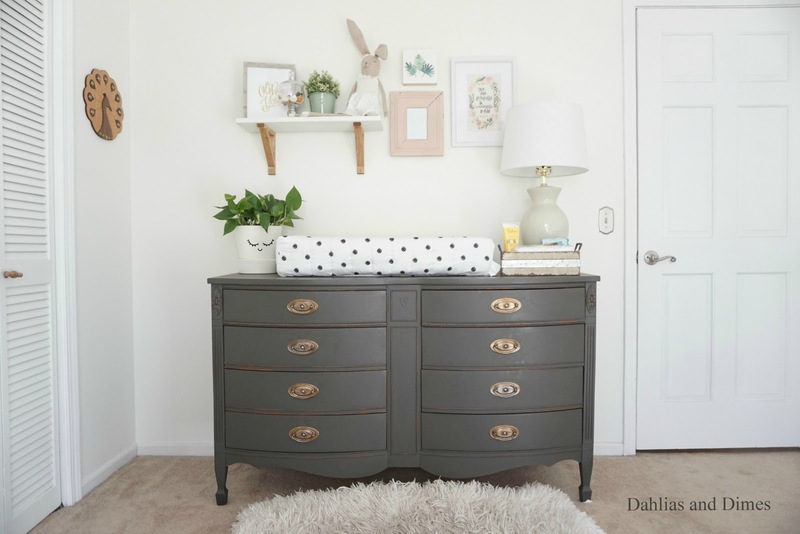 A well-styled shelf is always a must in a nursery, and this one is an example of just that. You can just make out that gorgeous glass jar at the other end there - it's filled with the most beautiful headbands and bows for little Olive! Have you ever seen a more well-organised wardrobe?! Even the storage boxes tie in with the colours and themes of this room, and just look at those little shoes! Also, how genius is Diana's idea to keep the laundry basket in the wardrobe? There's no socks all over the floor in this house! 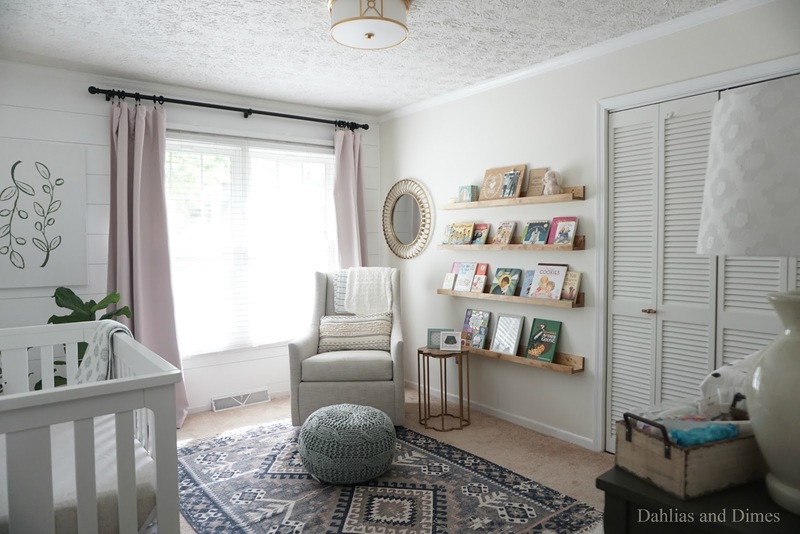 Little Olive is one lucky lady to have this beautiful room all to herself! Thanks for reading, and thanks so much to Diana for letting us have a nose around her favourite room. Have a look round the rest of her beautiful home over on Instagram here, and pop over and have a read of her brilliant blog - more pictures from this room can be found in her makeover feature here. Don't forget you can enter your favourite room using the hashtag #dovecottagemyfaveroom - I'll feature another inspirational room next week.